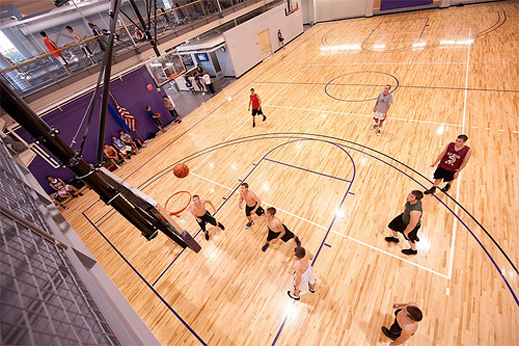 The Intramurals & Recreational Sports program provides Winona State University and Minnesota Southeast Technical College students, faculty and staff with opportunities to participate in a variety of competitive and recreational activities. All skill levels are welcome and there is no individual fee to participate. There is only a team forfeit fee, which will be returned to the captain at the completion of the season provided the team does not forfeit. With nearly 10 sports leagues per semester, 25 fitness classes per week, open swim, racquetball, open gym, water fitness, sporting equipment check-out and more, you're sure to find something just for you.